MOTIVATED SELLER! Just in time for your summer fun! 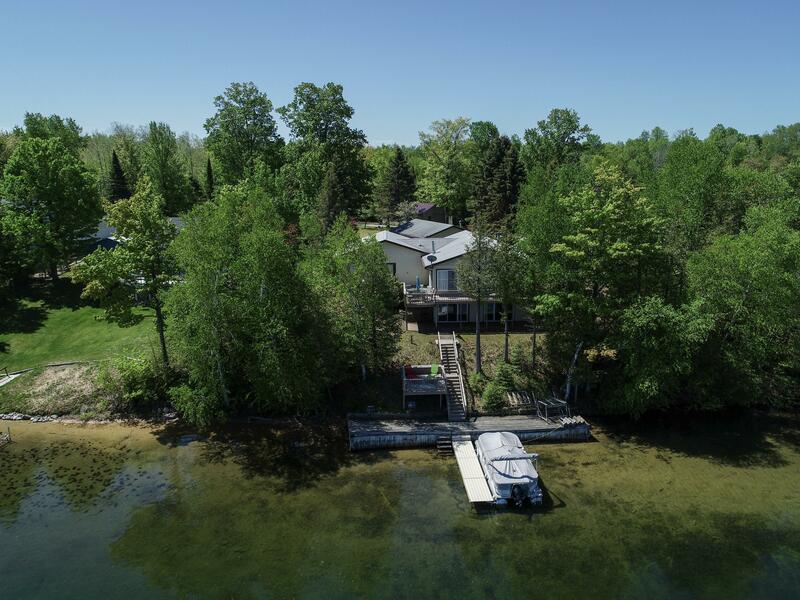 Over 100 feet of lakefront located on picturesque Long Lake. Enjoy the seasons of Michigan's Up North with this well maintained 3 bedroom home, living room features beautiful gas fireplace for those chilly evenings and a walkout basement with family room. Dine on the deck or hop on your boat from the dock right out your door. 2.5 car attached garage and an additional 24x28 garage with workshop and storage for all your toys! Ask about a flooring allowance to update to your style.